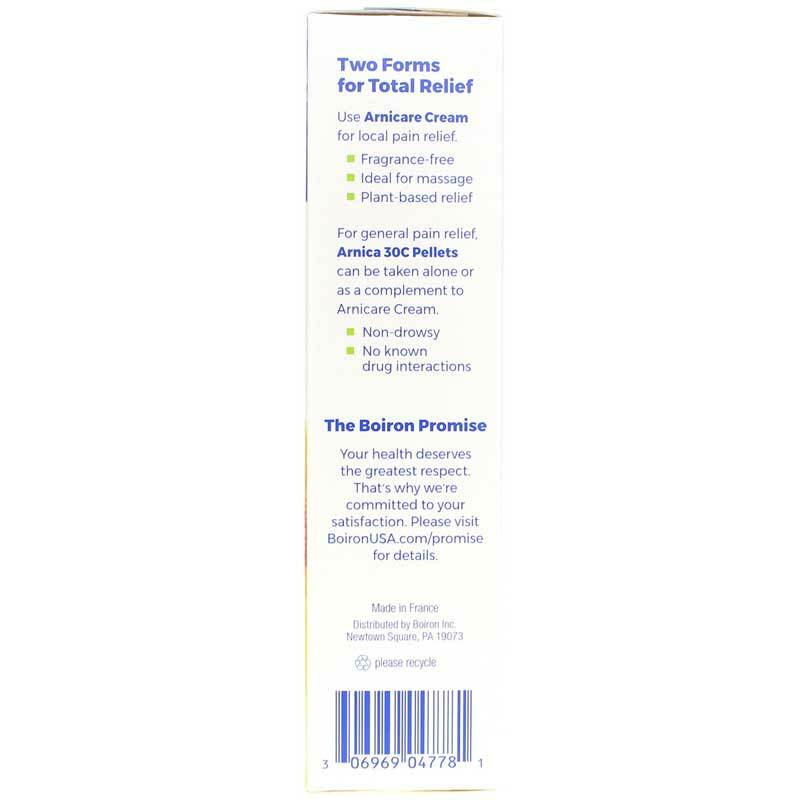 Arnicare Arnica Cream Value Pack by Boiron includes 1 Tube (approx. 80 pellets) of Arnica Montana 30C, which makes it a great homeopathic combination for natural pain relief support. 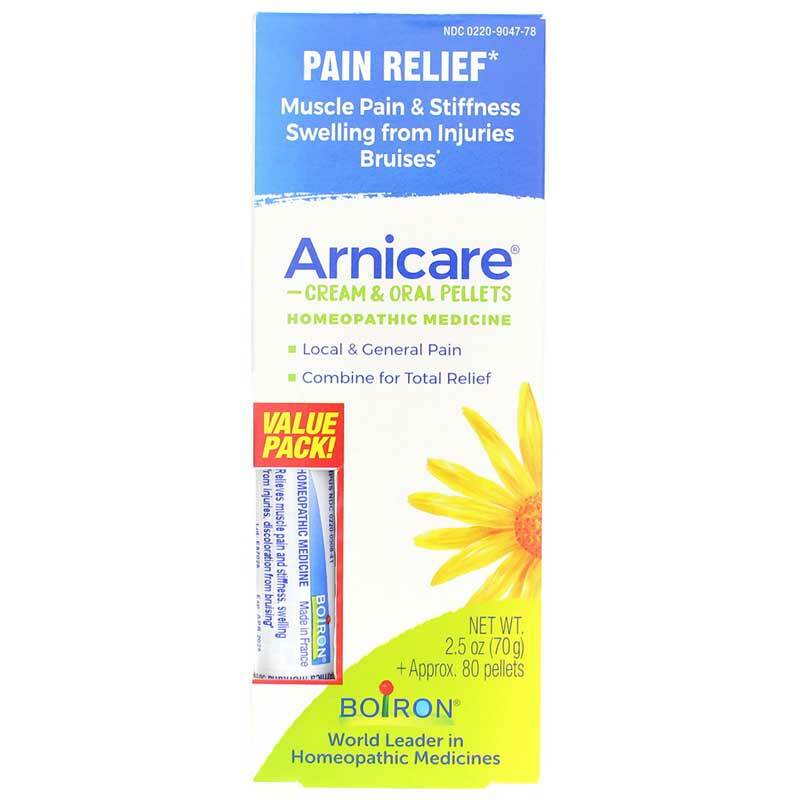 Arnicare Cream is non-greasy homeopathic pain relief product that works naturally with your body. It has a smooth texture that is great for massaging into sore muscles. It can be used to provide support for relieving muscle aches and stiffness due to minor injuries, overexertion, falls and blows*. 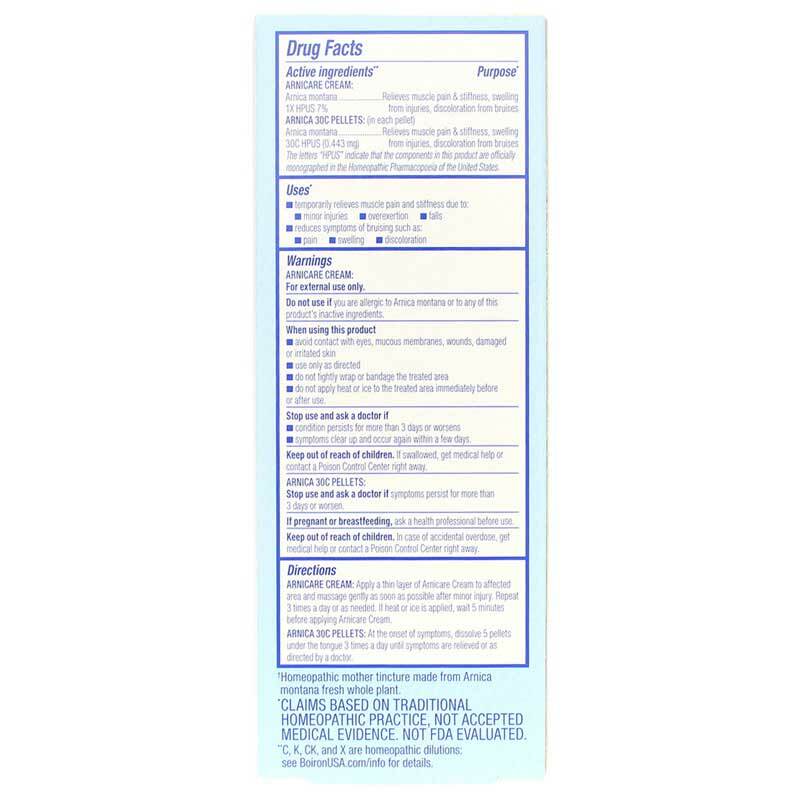 Adults and Children 2 years of age and older: Dissolve 5 pellets in the mouth 3 times a day until relieved or as directed by a doctor. I used Arnicare Cream Value Pack +1 Arnica Blue Tube 30C on my dad. It definitely helped and didn't seem to have any side effects.